At the end of last year Pantone announced their colour of the year for 2017, and we love it! Known as Greenery, Pantone describe it as a “refreshing and revitalising shade…symbolic of new beginnings.” This colour conjures up images of sitting and staring out to a beautiful, healthy lawn in the garden. 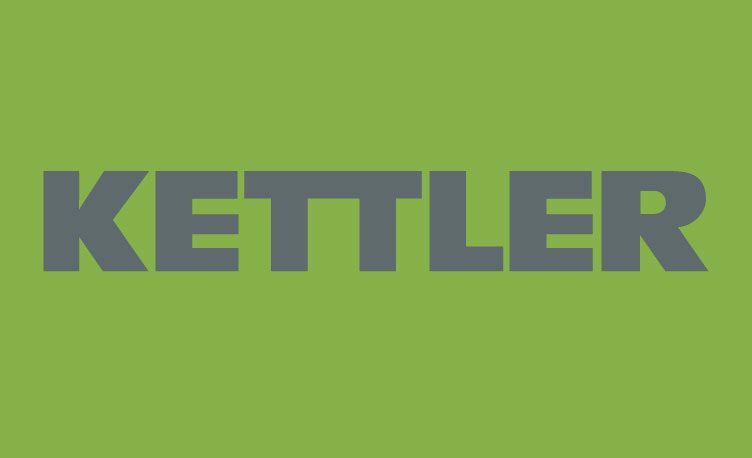 2017 is the year for new beginnings at Kettler. 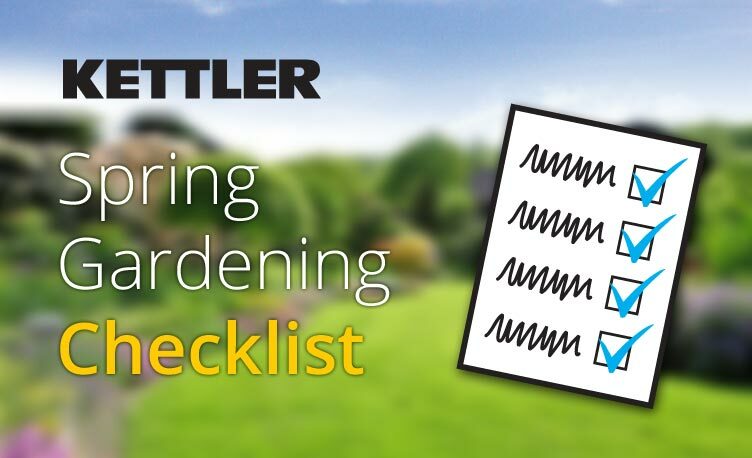 We have recently unveiled our new Kettler 2017 Garden Furniture brochure, available here. With the new season comes new styles and exciting ranges, expanding the Kettler range with new materials, new colours and new ways to relax. The best of times have just got better as we bring Everdure by Heston Blumenthal BBQ’s to the shores of the UK. The gas and charcoal BBQ’s are full of fresh features powered by design. We are excited to see what mouth watering meals you can make this summer. Pantone understand that a colour can tap into a memory just as well as a photograph or even a smell. As we march forward into our new beginnings full of original products and new ranges, we feel Pantone’s choice for colour of the year is truly symbolic of our 2017. This is a great time for any DIY and emergency repairs needed before you begin inviting friends and family round for garden parties. Also, use the Spring months to get rid of pesky weeds and moss you have been avoiding all winter. Check fences for damage and pick up twigs, leaves or winter debris. 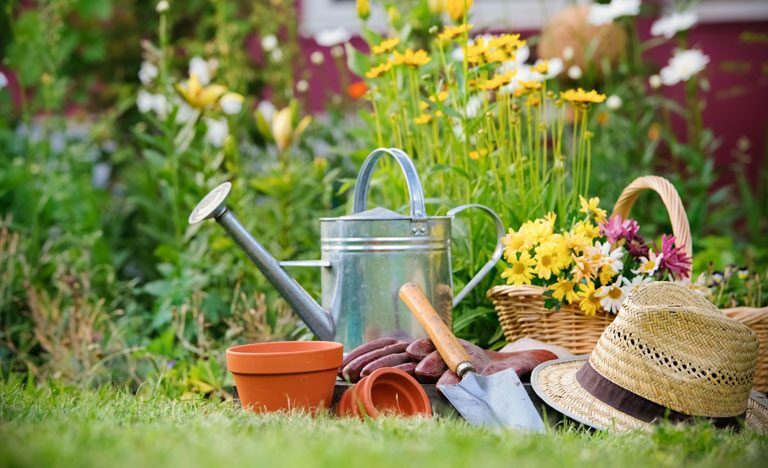 While you are going to get the hammer to mend a broken fence, check other tools; such as the hand pruners, flower shears, hoe, spade and trowel. These may need sharpening, ready for all that digging and pruning. Think about sending your lawn mower for servicing or check it is in working order. Patches of fusarium or snow mould may appear over autumn and winter months. Look for yellowish, dying grass. To fix your lawn, improve aeration and drainage with techniques such as scarifying and spiking. Allowing the air to flow into the garden also helps, so cut back over hanging trees. A handy tip: give grass an extra lift with a quick rake. To revive soil, begin by raking away old mulch and tidying up boundaries or borders with an edging tool. Add a layer of compost over the soil, avoiding the crown of plants. Look into getting fertiliser, but keep in mind that some plants may need special fertiliser. Finally, add a 1 to 2 inch layer of organic mulch to retain moisture and maintain soil nutrients. Slugs love the mix of warm weather with damp conditions. Be ready for their possible invasion with traps and barriers to hold them back. Scoop out half an orange and place it in the garden or sink half a jar of beer into the soil near vulnerable plants. Moisture absorbent minerals and slug pellets also help. Birds eat slugs. Encouraging birds to your garden keeps the threat of slugs away. Removing fallen leaves helps the birds see naughty pests easier, so keep your garden as clear as you can. 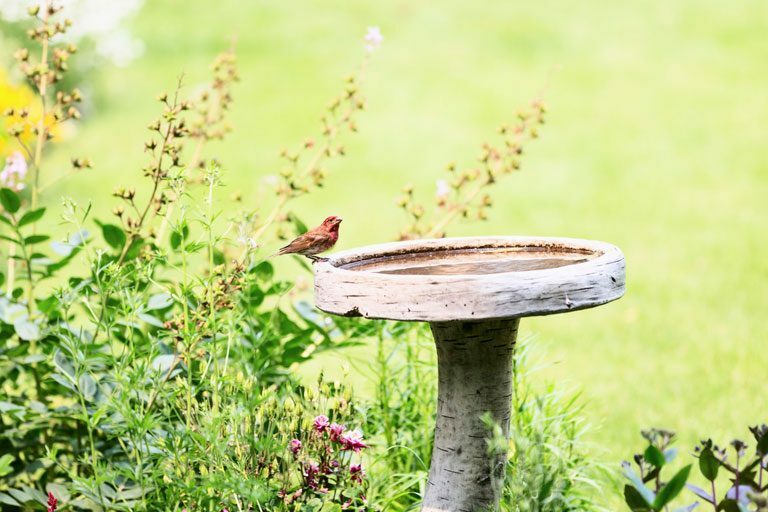 Remember to clean the bird bath and bird feeder. If you would like to leave out food, the RSPB recommends black sunflower seeds, pinhead oatmeal and soaked raisins in addition to soft apples, pears or bananas. Loose peanuts, dry foods and large chunks of bread create choking hazards for chicks so are not recommended. Pond algae and weed growth appears around springtime so give your pond a good clean. Start feeding fish and when the sun comes out turn the water fountain on. A thawed ground makes planting easier. However, spring months are often victim to late frosts, even up until May. There are plenty of ways to avoid frost damage. We suggest planting “weaker” plants in sun spots or using organic mulch as a natural insulator for the ground around plants. What should you be planting through spring? Take a good look around the garden. Look for damaged or diseased branches. Before trimming, step back and see how the plant stands. Check the branch structure and look for nesting birds before clipping. Any branch smaller than an inch in diameter can be cut with pruning shears while larger limbs should be cut with a pruning saw. We recommend removing some of the oldest branches at the base to encourage new growth. Shape evergreen hedges with a light sheering and rejuvenate old vines and shrubs with a heavy trimming. Divide perennials which clump together to maintain year-on-year performance. Getting in the garden early and doing all the dirty work is an exciting time because it means one thing: summer is on its way! 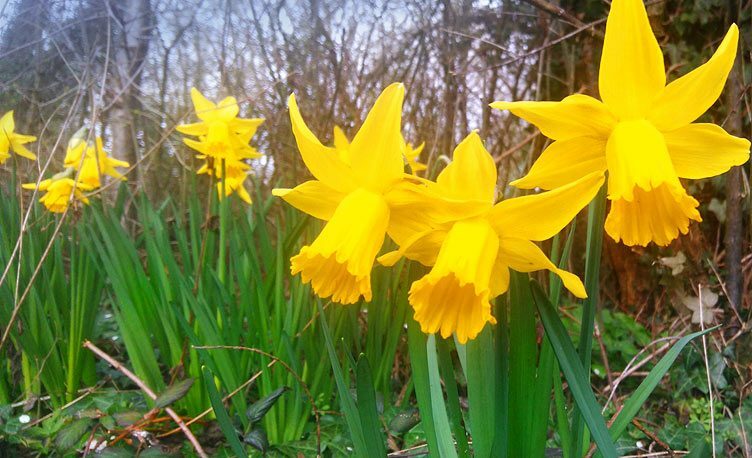 It allows you to enjoy the early bloomers, such as daffodils and snowdrops. 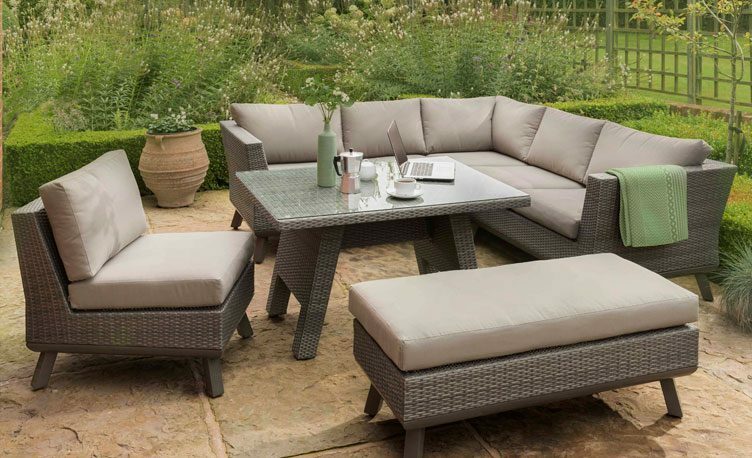 Finally, putting the hard work in now means your garden will look spectacular for when you want to relax on a lounger in the summer.